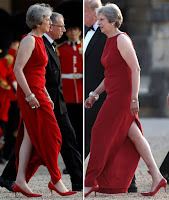 Monday August 27, 2018 - British Prime Minister Theresa May has revealed that she is excited about her upcoming visit to Kenya which comes after three decades since a sitting UK Primer visited the country. In a statement from London, May said that her trip to Africa, and specifically Kenya, will also be historic to both the United Kingdom and the East African nation. “I am proud to be leading this ambitious trip to Africa and to become the first UK Prime Minister in over 30 years to visit Kenya,” the British Prime Minister stated. A statement from the UK Government has confirmed that May will meet President Uhuru Kenyatta among other African Presidents during his tour of three African countries beginning this week. “She is set to meet President Uhuru Kenyatta and see British soldiers training troops from Kenya and other African countries in the techniques needed to identify and destroy improvised explosive devices before they go to fight Al Shabaab in Somalia,” read the statement.